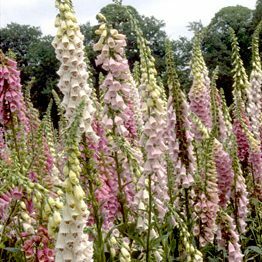 ‘Excelsior’ is a great name for a Foxglove…happily these Foxgloves live up to it. A mix of statuesque beauties…in pale to dark pinks with stunning speckled throats. They are excellent for cutting with a good vase life and are happy in full sun or semi shade. Sow May, June and July. I sow mine in modules and then plant out in early September but you can direct sow where you want them to flower if you prefer. I tend to rotate my flower beds…so for instance my Autumn sown annuals will have gone over by early September so I would fill that space with summer sown biennials.